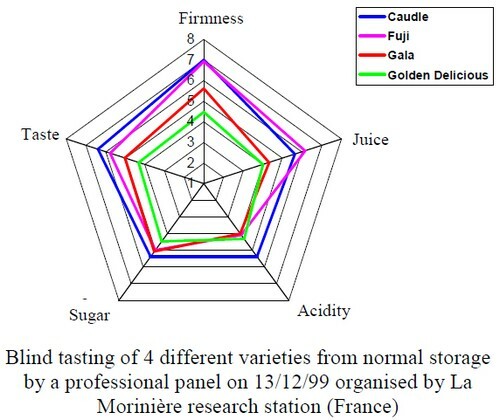 A trained panel produced an evaluation of taste in December 2000 on fruit from normal storage. 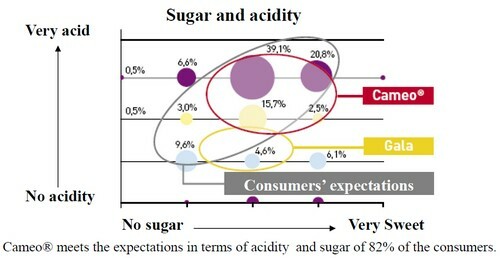 _ Cameo® scored heavily for its sweetness, juiciness and its firmness as shown in the above diagram. It is a crunchy, juicy and sweet apple. 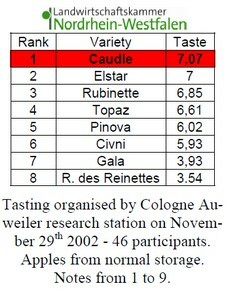 In 2000, consumer “test tastings” were held with supermarket shoppers and Cameo® received a positive feedback both for its taste and its good looks. intending to purchase immediately - 84%. 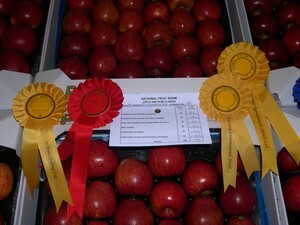 the tastiest apple award at the National Fruit Show (Kent, England) in 2002, 2008 and 2009. Notes from 1 to 9. 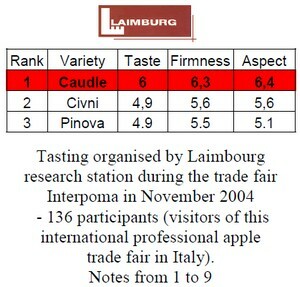 136 participants (visitors of this international professional apple trade fair in Italy). 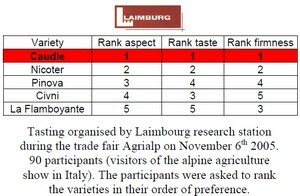 90 participants (visitors of the alpine agriculture show in Italy). The participants were asked to rank the varieties in their order of preference. In December, 2007, a private company conducted an investigation with 252 consumers to find out their expectations of apples in general and their perception of Cameo®. Inquiries realized on November 30th, December 1st, 7th and 8th, 2007 in 3 supermarkets with 252 consumers. 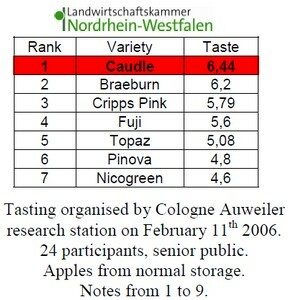 The variety was blind tested in comparison with 2 other varieties. All the results and the modalities of the inquiries are available on request.